But do you ever wonder how some people keep getting lucky over and over again? Is it just a coincidence that some entrepreneurs always seem to find a way to steer luck in their direction? Personally, I don’t believe in coincidences but I know many of you are skeptical. For example, below is an excerpt of an email that I recently received from a reader after she listened to my podcast interview with Abby Walker, a student in my Create A Profitable Online Store course. I just listened to your podcast with Abby. Great podcast! (…..) I don’t want to discount her success. But a large part of it was based on a series of fortuitous events. It’s not repeatable. Do you agree with this reader? Here’s a quick recap of Abby’s story for context. Last October, Abby made over $100K in a single month selling high heeled insoles online. But what was amazing about her story was the number of things that magically fell into place during her journey. One, she “accidentally” stumbled across her product while running her blog. Two, she “happened to” reach out to a manufacturer who was willing to let her sell their products under her own brand. Three, she “happened” to meet the CEO of The Home Shopping Network who helped her get on the show. So was Abby’s success based on luck or skill? When my wife and I first started our wedding linens store, several fortuitous events helped us on our path to success. One, we happened to stumble upon selling handkerchiefs because my wife was a crier. Two, I just happened to be friends with someone who started an ecommerce store who pointed us in the right direction. Three, my brother in law just happened to work for the Google Adwords team and suggested that I give Adwords a try. With MyWifeQuitHerJob.com, I can’t tell you how many lucky events have taken place over the years. For example, I’ve been randomly featured in many large publications like Forbes and Inc magazine. I’ve met so many amazing people that I’m now proud to call my friends. I’ve been invited to speak at popular conferences. Back in the day when something “lucky” would happen, I’d thank the heavens above for helping me out. But looking back, did my actions play a part in facilitating these lucky events? Did my wife and I do anything to improve our luck? Was my student Abby just at the right place at the right time? 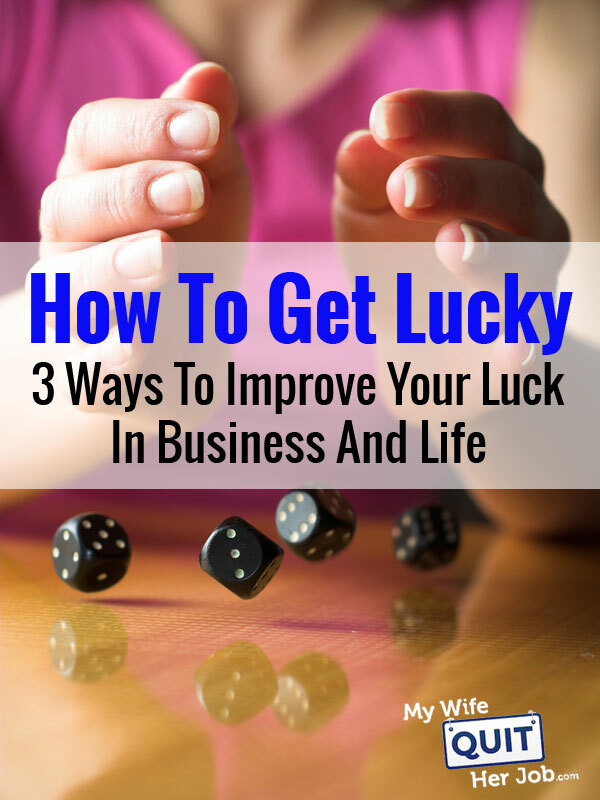 Today, I’m going to break down some of these fortuitous events and teach you how to get lucky in business and life. First of all, Abby’s success was the direct result of her ability to take immediate action. Sure, there were elements of luck in her story, but to base her sales entirely on circumstance would be insulting. If you closely analyze her story, you’ll realize that Abby is a big time hustler. In the beginning when she was researching and developing her first product, she stumbled upon a forum where two women were talking about this amazing insole called Insolia. Then immediately, she picked up the phone, found out where the company was based and made a proposal to sell their insoles. Was it luck that this company was willing to let her be the sole supplier for this product? Possibly. But was it luck that Abby secured this vendor? Hell no. Was it luck that Abby accidentally stumbled upon this product on a forum? Yes. But would she have found it if she wasn’t working hard doing research? No way. When Abby met Mindy Grossman, the CEO of the Home Shopping Network, at a random product pitch event, was that luck? Absolutely. But would she have met Mindy by staying at home watching tv? No way! Bottom line, Abby took the initiative, hopped on a plane to pitch her product and drastically increased her luck. When my wife and I first started sourcing product, we primarily looked online to find our vendors. But while the web is a great place to do research, it is a lousy place to establish lasting business relationships. For example, it requires tremendous patience to communicate with someone in a foreign country in a different time zone. And for our online store, cultural differences caused a lot of miscommunication early on which resulted in products that didn’t match our specifications. So one day, my wife and I decided get off of our butts and booked an impromptu flight to Asia to meet our vendors directly. In fact, we literally hopped on an airplane and dropped in to visit our potential manufacturers on a whim. Fortunately, our timing was right on cue. Because our vendors just got back from the Canton Fair in China, they all had their inventory available to show us. Had we visited at a different time, we would not have been able to see the products first hand and probably would have had to wait several weeks for samples to be fabricated. Even though we arrived too late to attend the actual fair(which we had no clue about at the time), we still managed to nail down 2 solid vendors during that trip who we still use today. A long time ago when we first launched our online store, our website was stuck in the Google sandbox for an extended period of time. For all of you who don’t know what the Google sandbox is, it is like a jail where Google places your website before it gets indexed. During this time, your site won’t get any organic traffic at all and you pretty much just have to wait for Google to change its mind. Editor’s Note: I’m not sure if the Google sandbox still exists anymore but back in the day, it was extremely frustrating if you got trapped there. Anyway, I was tired of being stuck in the sandbox so I contacted a friend of mine who worked at Google asking for advice on how to expedite the process. And as luck would have it, my friend happened to be in charge of writing the next post for the Google blog. The topic of the blog entry was how online websites utilize Google Webmasters tools in order to improve traffic to their website. And basically, my friend told me that if I signed up for Google Webmasters tools and found it useful that she would write the blog entry about our online store! As soon as the blog entry was published with a link to our website, we immediately escaped the sandbox! Anyway this just goes to show that you never know when a random person that you’ve met in the past can help you out. And that is why I spend so much time trying to expand my network. Every new person that you meet drastically increases your luck! In fact, meeting other like-minded people is the main reason why I run my podcast. After all, the opportunity to speak with and network with other successful entrepreneurs 1 on 1 for an hour is priceless! Another great way to meet new people is by attending conferences. Even though I have a wife and 2 young kids, I still try to hit 5 or 6 conferences per year because the connections I make are worth every penny. Editor’s Note: If you want to meet other ecommerce entrepreneurs face to face, then check out my annual conference, The Sellers Summit. Because I’ve been doing this for so many years, I can now travel pretty much anywhere in the world and find someone I know to hang out. For example, the first time we traveled to China and Hong Kong, we had several friends show us around which greatly helped us locate the vendors that we wanted to visit. We also had other friends in the textile business give us some pointers as well and we would definitely not be where we are today without their help! While podcasting and attending conferences are great ways to expand your network, the best and most scalable way to improve your luck is by putting yourself out there to be discovered. The more places you can be found, the more likely that someone will randomly discover and learn who you are. But what does it mean exactly to put yourself out there? There are many ways to go about it. You can…. It doesn’t really matter what medium you choose, just be consistent. When my wife and I launched our online store, we blogged on a consistent basis. And after about 6 months, our website started getting some decent organic traffic. And because we provided good content on our store in the form of arts and crafts pages, we slowly but surely climbed the search engine rankings over time. Pretty soon, our website rose to the front page of Google for several of our targeted search terms which started a chain reaction of events. Large companies began to notice us and major magazines like Real Simple, Martha Stewart Weddings and Brides started reaching out to us in order to feature our products in their magazines. We were even featured on the Today show because they found us through Google. In fact, the majority of our media mentions have been the result of pure luck. 90% of the time, editors discover our content via search or Pinterest and then reach out to feature us in their publications. Is Business Success Based On Luck Or Hard Work? Every success story involves a little bit of luck but it always comes down to hard work and initiative. The harder you work and the more action you take, the more lottery tickets that you earn. Every piece of content you put out there earns you additional tickets. Every person that you meet earns you another lottery ticket in life. And if you wait long enough, your number will eventually get called. Over the years, my wife and I have felt extremely fortunate. And we attribute most of our luck to our network of friends who have provided us with a ton of help to get us started. How did we get so lucky? In a nutshell, we continue to play the lotto. After all, if you simply sit at home on the couch and do nothing, you’ll never have a chance at all. So why not give your business idea a chance and see what happens? I agree that you need to work hard and there is some luck. You can’t experience the luck unless you put yourself out there. It seems to me that you did something very important. You selected a very specific niche. The more specific you are about your niche, the more likely you will be able to attract customers to your business. Selecting a specific niche certainly helps, but I think it’s the connections that are really key. People who are well connected seem to be able to take any idea and create a half decent business around it. Congrats on the Brides thing. I hope that comes through for you. It would be amazing. I think your success was 90% hard work and 10% luck. Thanks! It has been a lot of hard work, but many things not mentioned in the article also came together to help us out. There was indeed a lot of luck and coincidence involved. I think more than the hard work (which I’m no stranger to) patience stood out to me. Thank you for that reminder! That’s true, patience and faith are pretty big factors. I’m an impatient person when it comes to certain things but I’ve been working on it. Thanks for the retweet! I don’t think luck has anything to do with it. And, there is no such thing as “random”. Its all about taking action, following through, and being persistent. I’d like to think that it was all a product of hard work, but luck did play a factor. If I had to recreate the exact same business from scratch, I’m not so sure that I could achieve the same results in the same amount of time. Great article, this goes to show that hard work does pay of (well at least most of the time). And you can also see the importance of networking, this helps tremendously for a business to succeed. But one thing is for sure, luck truly was in your side since many things happened that were coincidence like knowing someone that worked at Google that helped you get out of the sandbox and going to Asia to meet the people at the perfect timing. I myself have a new blog and feel the frustration that you did of being in the sandbox since I keep writing content and feel nobody is reading it, but at least i know someday it will be out and ranking for many terms. This blog is pretty new too so I feel your frustration. Traffic has picked up over here lately since Google has started indexing the blog. Be patient, and the traffic will come. I’m heading over there now to check it out! Thanks for the wonderful Information, as I am writing a book and thinking of ways that I can be more instrumental in serving God. I know this is somewhat of a different path, however, efficacy and productivity are always significant variables when dealing with client service. I think we make our own luck and you quite clearly made you’re own luck from what you’ve written here. You said, “We we first started out, we searched for vendors for our wedding linens store solely online. While the web is a great place to do research, it is a lousy place to establish lasting business relationships.” While I am sure that this may be true in some cases, some of my best business deals were birthed through internet connections. One of my best clients I’ve ever had has been doing business with me since 2006. The point of that statement was to emphasize that face to face communication in person is the best way to establish relationships. I have no doubt that good business relationships can be birthed from the internet, but at some point other communication must be involved to foster the connection. Yes, that’s true! Luck always helps when we take action. They say its because we cannot see all the connections and forces of love at work. Since we cannot see them it appears to us mortal types as luck. And if things happened for you wonderful because you are just starting out, perhaps that’s the Principle of Favorability at work. Also known as beginner’s luck. Yep, I’m sure it was a combination of both. Beginners luck coupled with putting ourselves out there for the luck to even have a chance. Very inspiring story about taking action and luck having a part to play in bringing your dreams into reality. Congratulations on your success so far! I believe in the old adadge that says luck is where opportunity and preperation meet. You made your own luck my friend, and when it came around, you were prepared to take on the challenge. True dat. Opportunity is unlimited. 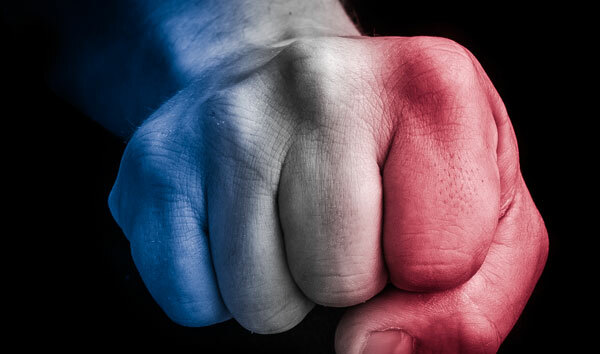 The challenge is getting prepared and actually taking action! What appears to be luck, or even success, is actually the certain results of focused action. You’ve got to be willing to risk in order to get great rewards. Putting it all out there is key. Since I still work full-time, I have yet to totally put it all out there with my vending company, but I see the day on the horizon when this will happen very soon. As far as luck vs. hard work, I find that the harder I work, the luckier I get. I’m sure Steve and others can say the same thing. Hey there I do have A question,I checked out the wholesale/dropship website you gave me,and I really appreciate that..but my question is..once i pay the $299.95 membership fee, do the dropshippers charge another high fee? I know looking online that there some drop shippers that charge anywhere from $599.99-$5799.99 fee. I know you suggested not using drop shippers,that wholesalers are the best. My question is this, with a drop shipper how does this work…you just basically advertise their items,people order,then the dropshipper sends it to the customer? After reading this article, I researched Google Sandbox further. I think your comments about it are dated since the Google products have changed. Perhaps you could revisit this with an update for new website builders? I understand you’re not an expert on this, but I would love your assessment of what’s going on or what to do when a new site is being indexed; I think it would be really relevant to your readers. A successful business is based on hard work, initiative and taking advantage of each opportunity with earning potential. 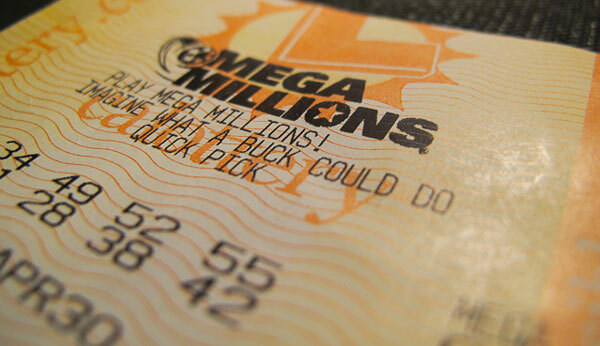 I do believe in luck, but I don’t think all successful entrepreneurs are coincidentally so very lucky! Winners create their own luck as they say. I have found successful people have an extreme focus and ability to take consistent action overtime without giving up. The write-up must end any doubts regarding hard work, initiative, luck and success. As Steve says, luck shines for those who are willing to take initiative and work hard (and work smart). I just discovered this blog, Love it!